Recently, one of my friend wrote an eBook about Silver Investing in Malaysia. The eBook “Practical Guide For Investing Silver In Malaysia” explained that silver has a huge potential of going uptrend in 2013 – 2014. The eBook “Practical Guide for Investing Silver in Malaysia” is the best investment guide when comes to silver investment. 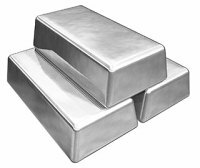 The eBook explains the fundamental reasons on why silver investment is such a great opportunity in this decade when all the financial crisis happens globally. The author explained it in clear and simple English from a Malaysian’s context. As the author himself is actively involve in silver investment, the author shared the many tips and tricks in silver investment. In this eBook, you will learn many different methods to invest in silver. As the title suggests, the eBook is a practical guide. It would guide the reader step by step on how to invest silver in Malaysia. From buying the 1oz of silver until buying more than 1000oz of silver, the eBook would recommended different approach for investing. One of the most interesting chapters is eBook would even teach the reader how to buy silver below market price! If you are new to silver investment and have not read the eBook “Practical Guide for Investing Silver in Malaysia”, you have no idea what you are missing out! eBook – How to Invest like Warren Buffett? Yes, Silver is always a best and safe investment like gold because of its rising demand in jewelry and industries. May experts expect silver price to rise above $44 in coming months.